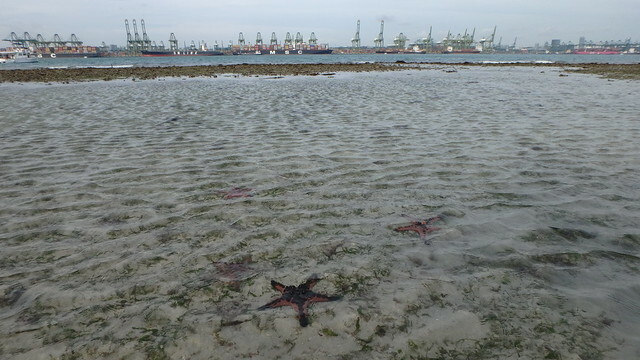 wild shores of singapore: Cyrene affected by nearby reclamation? Cyrene affected by nearby reclamation? Although it lies in the middle of an industrial triangle and major shipping lanes, Cyrene has some of Singapore's best shores. 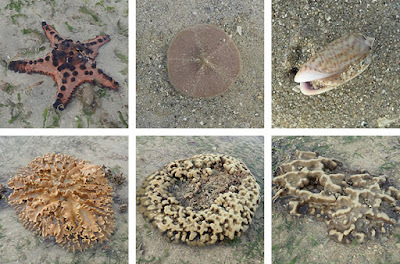 With lots of Knobbly sea stars, dugong feeding trails, giant clam and other amazing sightings, Cyrene is one of our favourite shores. Alas, it was noticeably sandier today. Affected by nearby reclamation? And we also came across large fish traps. 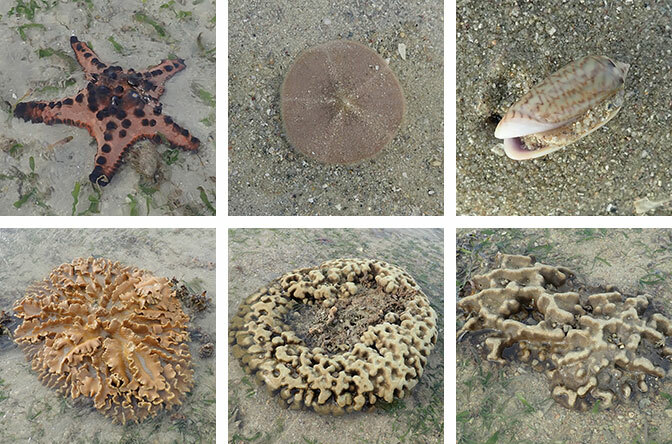 Here's a glimpse at some of the interesting marine life I saw at Cyrene. Today, Cyrene was noticeably sandier and the seagrasses rather more sparse than our last survey in Aug 2018. But I still came across a few furrows that look like dugong feeding trails. The usual marine life was there, including some Cake sand dollars. 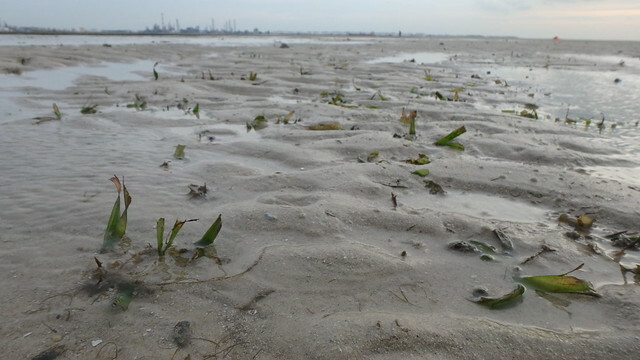 The tide was a little high to survey the reefier parts, but the corals on the higher shore seemed to be doing alright. 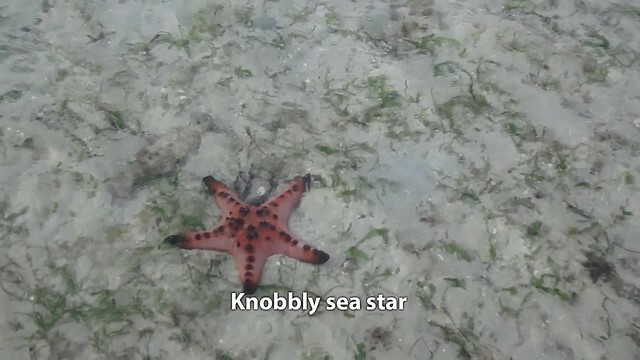 There were lots of Common sea stars, some with locked arms in 'mating' position. But I saw one that was humped up on its arms. I'm not sure what is going on - perhaps about to release eggs or sperm? The team spotted one large Fluted giant clam. I saw one Ramose murex snail and the rest of the team saw some too. 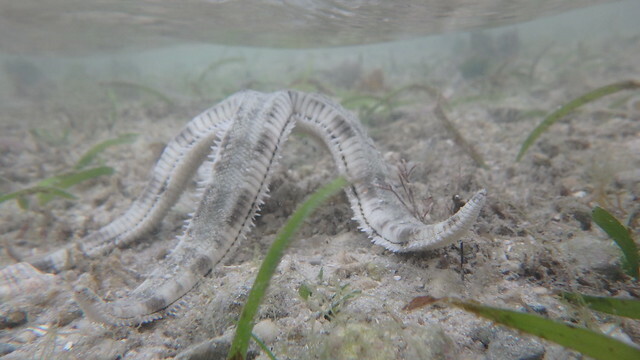 I couldn't find the Pentaceraster sea star today. 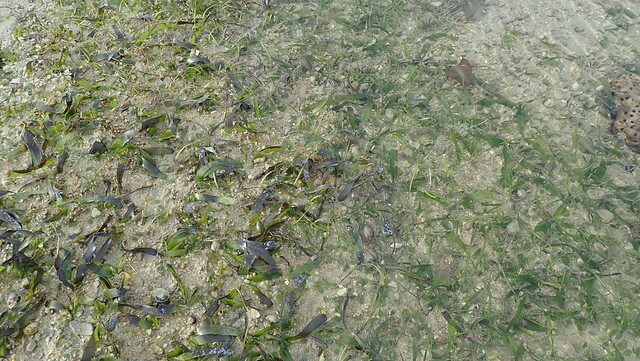 Many patches of Sickle seagrass had badly burnt leaves. Seems like mostly the blades exposed at low tide are burnt? I saw a similar situation in Apr 2018. I did not see any long Tape seagrass. Only very short cropped ones. 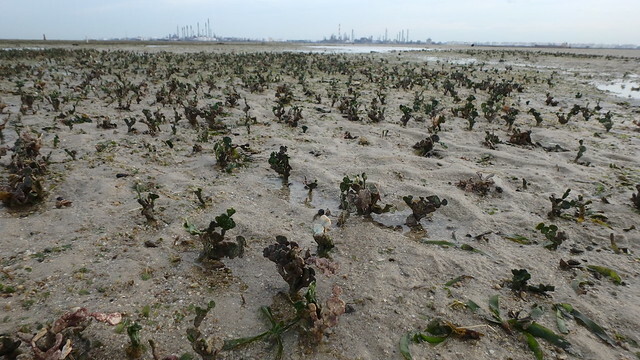 There were some small patches with dense growths of Halimeda seaweed, which are hard and incorporate calcium. 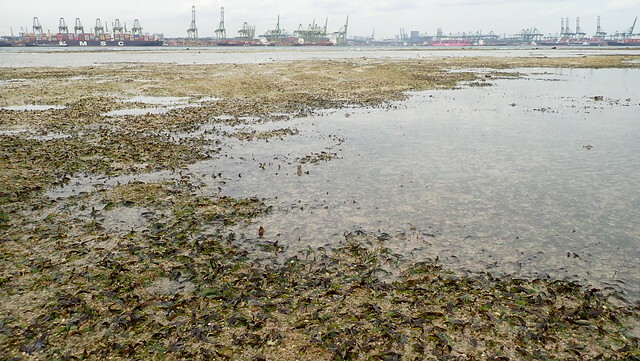 I've seen this also on other shores impacted by heavy sedimentation like Tuas and Sentosa. 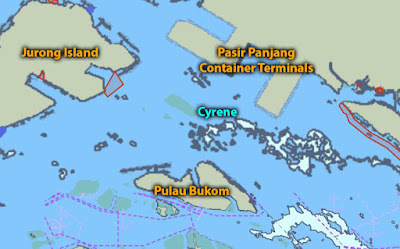 A large area on Jurong Island (Ayer Merbau Basin) near Cyrene is being reclaimed - area outlined in red in this map on the MPA website. From Port Marine Notice 109 of 2018, these reclamation works have been going on since Jan 2018 and expected to be completed in May 2019. I had noticed the reclamation during our Apr 2018 survey. From Port Marine Notice 109 of 2018. 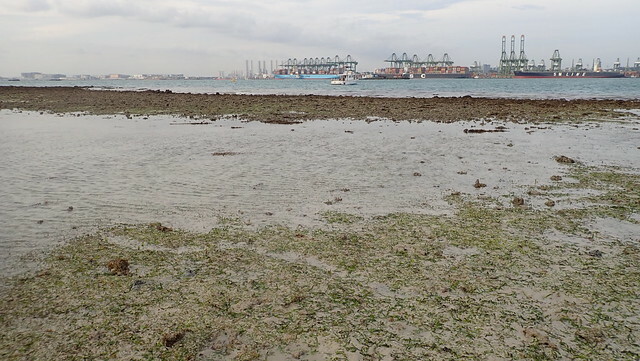 Thanks to Nicholas Yeo for a closer look at the reclamation site on Jurong, taken from Cyrene Reef. Neil also came across several huge fish traps (bubu). Nicholas shared this photo of one of the traps. Fortunately, we didn't come across any nets. Let's hope Cyrene stays safe until we can visit again. Others on this trip: Neil Hutchinson, Andy.